Reflection on the gospel reading: Jesus was the worker of wonders, and his miracles drew crowds to him. Jesus chides their desire for spectacle, because he has come not to entertain bystanders but to call sinners to repent. When Jesus speaks of the sign of Jonah, he is speaking specifically about the call to penitence. 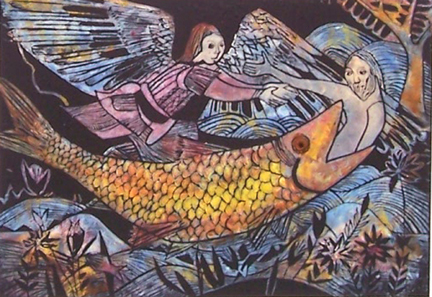 If Jonah was a sign of atonement for the Ninevites, Jesus is a sign of atonement to Israel. Jesus promises his listeners that on the judgment day, God’s people will be surprised who goes before them into the Kingdom because they heard and followed God’s word according to their capacity. 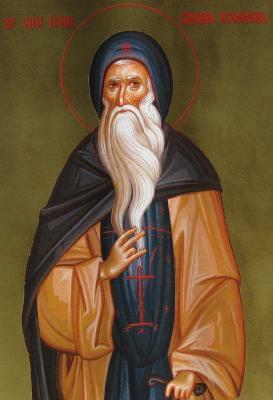 Saint of the day: John Cassian was born around 360, likely in the region of Scythia Minor (now Dobruja in modern-day Romania and Bulgaria), although some scholars assume a Gallic origin. As a young adult he and an older friend, Germanus, traveled to Palestine, where they entered a hermitage near Bethlehem. After remaining in that community for about three years, they journeyed to the desert of Scete in Egypt, which was rent by Christian struggles. There they visited a number of monastic foundations. Approximately fifteen years later, in about 399, Cassian and Germanus fled the Anthropomorphic controversy provoked by Theophilus, Archbishop of Alexandria, with about 300 other Origenist monks. John Cassian and Germanus went to Constantinople, where they appealed to the Patriarch of Constantinople, Saint John Chrysostom, for protection. John Cassian was ordained a deacon and was made a member of the clergy attached to the Patriarch while the struggles with the imperial family ensued. When the Patriarch was forced into exile from Constantinople in 404, the Latin-speaking John Cassian was sent to Rome to plead his cause before Pope Innocent I. While he was in Rome, John Cassian accepted the invitation to found an Egyptian-style monastery in southern Gaul, near Marseille. He may also have spent time as a priest in Antioch between 404 and 415. Whatever the case, he arrived in Marseille around 415. His foundation, the Abbey of St Victor, was a complex of monasteries for both men and women, one of the first such institutes in the West, and served as a model for later monastic development. Cassian’s abbey and writings influenced St. Benedict, who incorporated many of the same principles into his monastic rule (Rule of St. Benedict), and recommended to his own monks that they read the works of Cassian. Since Benedict’s rule is still used by Benedictine, Cistercian, and Trappist monks, the thought of John Cassian still guides the spiritual lives of thousands of men and women in the Western Church. John Cassian died in the year 435 in Marseille. He is a saint of the Eastern Orthodox Churches, with a feast day on February 29, a date assigned also in the liturgical calendar of the Episcopal Church (USA). Because this day occurs only once every four years in leap years, official Church calendars often transfer his feast to another date (usually February 28). Reflection on the gospel reading: The Our Father is a prayer that has relationship at its base. It begins with an idea that is easy enough to understand. When Jesus tells us to invoke God as our Father, he seeks to establish God’s relationship to us as Father over us, and thus, our relationship to God as God’s children. It is interesting to note, though, what Jesus doesn’t say. Jesus does not teach us to pray our God; the relationship we are establishing is familial with reliance on one who loves, provides, encourages, and corrects. Neither does Jesus teach us to address God as my Father; we are taught to address God as constituent parts of a web of relationships–you and me, and all of us together. Prayer is not a private wish factory; its purpose is to bring us together and to bring us as community into unity with God and God’s creation. When we petition the Father in this prayer, all the needs we present are needs we have. Yes, perhaps my stomach is full, but I belong to a species of being which has many empty stomachs: give us this day our daily bread. Yes, I have ruptured my relationships through my failings, but my restoration to childhood in God results from the restoration to the community we form with one another: forgive us our trespasses, as we forgive those who trespass against us. Yes, I am put to the test, but we are saved in community: do not put us to the test, but save us from the evil one. Reflection on the gospel reading: Today’s gospel reading is from the Discourse on the Last Things, an address that Jesus gives, according to Matthew, in the last few days of his ministry. Love must have been much on Jesus’ mind as he approached his death, because in the gospel of John, during what would have been the same time frame of just a few days, Jesus at the last supper gives a new command, that we should love one another as he has loved us. In the passage we read today, Jesus tells us about the Last Judgment; the whole of this passage boils down to what John of the Cross once observed, “In the evening of life, we will be judged on love alone.” Jesus could have explicated the implications of a life of faith and a life of non-faith, or he could have taken an excursus about the meaning of the 10 commandments for his followers. He did neither of these things. Jesus’ command at the Last Supper that we must love indiscriminately and profligately is what we are told here will be the measure of our humanity when we reach the end of our days. Loving with abandon is the entire human project. Saint of the day: Auguste Chapdelaine was born in La Rochelle-Normande, France on February 6, 1814. He early felt a call to the priesthood, but his family opposed it, needing his help on the farm. However, the sudden death of two of his brothers caused them to re-think forcing him to ignore his life’s vocation, and they finally approved. He entered the minor seminary at Mortain on October 1, 1834, studying with boys half his age. It led to his being nicknamed Papa Chapdelaine, which stuck with him the rest of his life. He was ordained on June 10, 1843 at age 29 and served as an associate pastor from 1844 to 1851. He finally obtained permission from his bishop to enter the foreign missions and was accepted by French Foreign Missions; he was two years past their age limit, but his zeal for the missions made them approve him anyway. He stayed long enough to say a final Mass, bury his sister, and say good-bye to his family, warning them that he would never see them again. He left Paris for the Chinese missions on April 30, 1852, landing in Singapore on September 5, 1852. After a stay in Guangzhou, he moved to Guiyang, capital of the Guizhou province, in the spring of 1854. In December, he went, together with Lu Tingmei, to Yaoshan village, Xilin county of Guangxi, where he met the local Catholic community of around 300 people. He celebrated his first mass there on December 8, 1854. He was arrested and thrown into the Xilin county prison ten days after his arrival, and was released after sixteen or eighteen days of captivity. Following personal threats, he went back to Guizhou in early 1855, and came back to Guangxi in December of the same year. He was denounced on February 22, 1856, by Bai San, a relative of a new convert, while the local tribunal was on holiday. 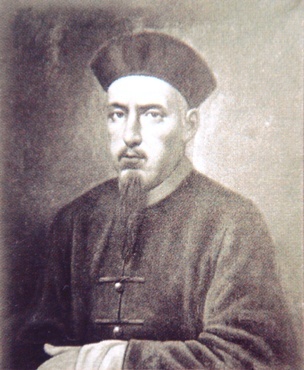 He was arrested in Yaoshan, together with other Chinese Catholics, by orders of Zhang Mingfeng, the new local mandarin on February 25, 1856. He was severely beaten and locked into a small iron cage, which was hung at the gate of the jail. He was already dead when he was beheaded. Beatified in 1900, he was canonized a hundred years later in 2000. Reflection on the gospel reading: After Jesus received his baptism, he entered into a Lent of his own as he moved into the desert for forty days of prayer, reflection, and fasting. And, during that time, Jesus was tested. Mark does not describe Jesus’ temptations, but Matthew and Luke do. The tests that Matthew and Luke suggested Jesus endured resemble the kind of tests that Jesus faced in the course of his public life. The meaning and symbolism of the passage helps us to understand the conflicts in Jesus’ life, and they tell us something about the conflicts in ours, too. We live in a space and time with circumstances, and it is in this space, time, and these circumstances, that we face tests. Our temptations, like Jesus’ temptations, make great sense within the context of our lives. But it isn’t just the tests that make sense in our lives: it’s also God’s victories over them. Like Jesus, we wrestle with the meaning of our existence as we live into our experiences. Reflection on the gospel reading: Tax collectors in the time and place that Jesus lived were Jews who worked for the Romans. Perceived as people who violated the Law of Moses, tax collectors were social outcasts. The passage that we read today describes Jesus’ call of a tax collector, Levi, to follow him. The text demonstrates that Jesus did not allow the biases of people who surrounded him to influence his decisions about who would accompany him. Levi leaves everything in an instant to follow the Lord, and in a meal that celebrates his welcome among the Lord’s disciples, the Pharisees and scribes accuse Jesus of keeping poor company. Jesus’ critics considered themselves virtuous, but in truth, they lacked both love and compassion. The Lord tells them that he has come to heal the sick and implicitly accuses the Pharisees and scribes of legalisms. The Lord’s counsel is to let go of rigid adherence to law to lavishly love one another. Saint of the day: Luigi Versiglia was born in Oliva Gessi (Pavia) on June 5, 1873. From his earliest years he used serve mass, so much so that the people already thought he would be a priest, but Louis never wanted to hear talk of that, because he wanted to be a vet. 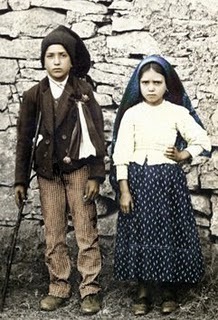 As a twelve year old he was taken in by Don Bosco, who fascinated him to the extent that he wanted to change his mind. In 1888, soon after Don Bosco’s death, Louis was much taken by the ceremony where seven missionaries received their mission cross and decided to become a Salesian, with the hope of going to the missions. 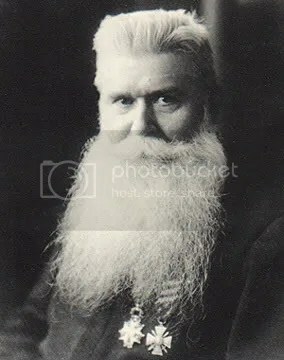 He gained a degree in philosophy, and was soon ready for priestly ordination which took place in 1895. Don Rua appointed him as director of novices at just 23 years of age at Genzano in Rome, a task he carried out for ten years with kindness, firmness, and patience. After much insistence from the bishop of Macao, in 1906, six Salesians arrived in China, led by Fr. Versiglia. Thus a prophecy of Don Bosco’s came true. In Macao he established the Salesian “mother house” and also opened a mission at Heungchow. Fr. Louis gave life to the area as Don Bosco would have done, setting up a music band which was much appreciated, and opening orphanages and oratories. In 1918 the Salesians received the mission of Shiuchow from the Vicar Apostolic of Canton, and on January 9, 1921 Fr. Versiglia was consecrated its bishop. Wise, tireless, and poor, he constantly set out to visit and encourage the confreres and Christians in his diocese. Whenever he arrived, the villages held a feast especially the children. He was a true pastor, completely dedicated to his flock. He gave the Vicariate a solid structure with its own seminary, house of formation, and planned residences and hospitals for the elderly and those in need. He looked after the formation of catechists with much care. In his notes he wrote: “The missionary who is not united to God is a canal detached from its source”. “The missionary who prays a lot achieves a lot.” Like Don Bosco he was an example of work and temperance. Meanwhile in China the political situation had become very tense, especially for Christians and foreign missionaries. Persecutions began. 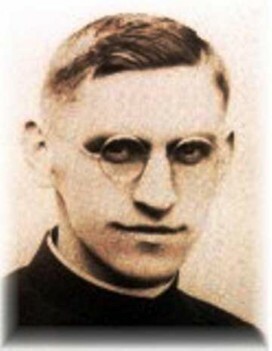 On February 13, 1930, together with Fr. Caravario, the bishop was at Shiuchow for the pastoral visit to the Linchow mission. Some young boys and girls went with them; they had been studying in Shiuchow. On February 25, a group of Bolshevik pirates stopped the bishop’s boat, wanting to take the girls. The bishop and Fr. Caravario obstructed them with all the force they could muster. They were forcibly taken and eventually shot. Before they were killed they heard one anothers’ confession. Their last breath was spent for their beloved China. Declared martyrs in 1976, they were canonized in 2000. Reflection on the gospel reading: This gospel passage contrasts two conditions. The first of them is that of the disciples of John the Baptist and the Pharisees; the second, that of the disciples of Jesus. John’s disciples and Pharisees fast; they experience an emptiness–a void–that yearns to be filled. Jesus’ disciples feast, because they are in the presence of the bridegroom. The difference between the condition of John’s disciples and the Pharisees, and the condition of Jesus’ disciples is simple. It is Jesus. It is Jesus’ presence that makes the entire difference. It is Jesus’ presence that fills the emptiness and satisfies the yearning. Saint of the day: Josepha was born on December 11, 1820, in Algemesi, Valencia Province, Spain, and died on February 24, 1893. She was the first of five children in a spiritual family. She was baptized on the day she was born, confirmed in 1828, and made her First Communion a year later. Although schools were not available, she learnt to read and write, and she became skilled in embroidery. At the age of thirteen, her mother died. Being the eldest, she helped her father raise her younger brothers and sisters, living in her maternal grandmother’s home. At the age of 18, under spiritual direction from her parish priest, she consecrated herself with the vow of perpetual chastity. She entered the then Third Order (since 1979, called the Secular Order) of Discalced Carmelites, but documents were lost during the Spanish Civil War of 1936, and the date is unknown. In Algemesi, there is today a large picture of the Virgin of Carmel embroidered in gold and silk, made under Josepha’s supervision. In an age when spirituality in Third Orders endeavoured to replicate the way of life of the religious, Josepha seems to have lived out her Carmelite spirituality in her secular condition. She invited young women to her house, taught them embroidery, prayer and the evangelical virtues, sharing her wisdom and spiritual understanding. She died on 24th February, 1893, having received the last sacraments. At her request, she was buried in the Carmelite habit. She was beatified in 1988. Reflection on the gospel: The text here is rich in implications: Jesus talks about his rejection and then talks about picking up the cross. Being misunderstood and even rejected does not feel good, but when we risk being misunderstood and even rejected for the sake of the gospel, we embrace the gospel and imitate Christ. The elders, chief priests, and scribes, of course, were the religious authorities of Jesus’ day, but Jesus’ vision of the truth led him to reject their leadership and set out on a path that the Father had revealed to him. Stale and lifeless teachings are always a temptation, a refuge from the precariousness of following Jesus. Like the elders, chief priest, and scribes, it is easy to domesticate our religious faith: in our middle class circumstances, full of the illusions of safety, it is very simple to sequester Jesus and put him in a nice safe corner of our lives without any touch points with the day to day events of our existence: our economic lives, our political lives, or anything else. But when we embrace the notion that Jesus is Lord, we embrace something that is unpredictable and dangerous. As Dietrich Bonhoeffer noted, “When Christ calls a man, he bids him come and die.” Jesus is dangerous–he is good–but he is certainly not safe. Jesus’ example is that we be bold in our proclamation of the vision that the Father gives us and tenaciously hold to our prophetic mission even as Jesus tenaciously held to his prophetic mission, even should it risk death, yes, death even on a cross. 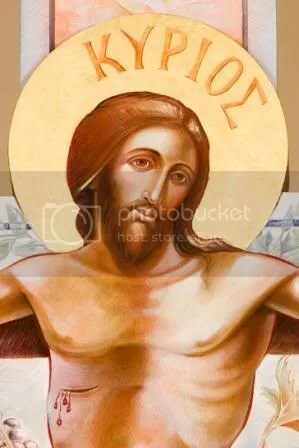 Jesus said to his disciples: “Take care not to perform righteous deeds in order that people may see them; otherwise, you will have no recompense from your heavenly Father. When you give alms, do not blow a trumpet before you, as the hypocrites do in the synagogues and in the streets to win the praise of others. Amen, I say to you, they have received their reward. But when you give alms, do not let your left hand know what your right is doing, so that your almsgiving may be secret. And your Father who sees in secret will repay you. When you pray, do not be like the hypocrites, who love to stand and pray in the synagogues and on street corners so that others may see them. Amen, I say to you, they have received their reward. But when you pray, go to your inner room, close the door, and pray to your Father in secret. And your Father who sees in secret will repay you. Reflection on the gospel reading: On this Ash Wednesday, the gospel calls us to reflect on the meaning of prayer, fasting, and almsgiving. Today’s reading addresses three pillars of religious practice among Jesus’ people, and by extension and adoption, among us who are Jesus’ followers. Those three practices are almsgiving, prayer, and penance. There is a common theme among the three. Yes, Jesus encourages us to give to the poor, pray, and repent, but he tells us to do each of these things in a way that does not draw attention to ourselves. When we do these things to gain the admiration of other people, we have received our reward. Our religious practice is to be a relationship between God and ourselves: it is not to make us look better in the eyes of other people. The passage from Matthew, as we enter into Lent, emphasizes the importance of doing all these things quietly and in a way that only God sees. Jesus in today’s gospel calls us to give freely to the poor, pray continuously in our hearts, and do penance for the injuries we do to our relationship with God. But he call us to make of each of these practices an affair of the heart between God and ourselves. Ash Wednesday: Ash Wednesday is the Wednesday 40 days before Easter (excluding Sundays and the Triduum.) 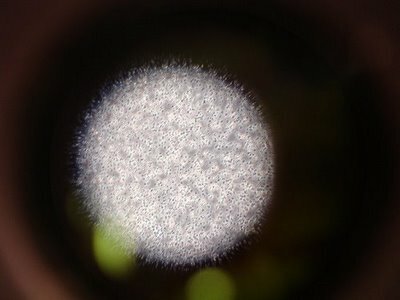 The name dies cinerum (day of ashes) which it bears in the Roman Missal is found in the earliest existing copies of the Gregorian Sacramentary and probably dates from at least the eighth century. On this day all the faithful according to ancient custom are exhorted to approach the altar before the beginning of Mass, and there the priest, dipping his thumb into ashes previously blessed, marks the forehead in the sign of the cross, saying the words: “Remember man that you are dust and unto dust you shall return.” The ashes used in this ceremony are made by burning the remains of the palms blessed on the Palm Sunday of the previous year. In the blessing of the ashes four prayers are used, all of them ancient. The ashes are sprinkled with holy water and fumigated with incense. The celebrant himself receives, either standing or seated, the ashes from someone else. In earlier ages a penitential procession often followed the rite of the distribution of the ashes, but this is not now prescribed. Reflection on the gospel: There is a theme in Jesus’ teaching of receiving the weakest among us as we would receive Jesus. In the Matthean description of the judgment, Jesus says that whoever feeds the hungry, gives drink to the thirsty, clothes the naked, gives shelter to the homeless, visits the sick, visits prisoners, buries the dead, that whoever does these things for another, does them for Jesus. In today’s gospel passage, Jesus says whoever receives a child, receives Jesus, but not just Jesus, but the one who sent Jesus. Jesus is able to so completely identify with the other that both the injuries and the blessings she or he sustains, the Lord sustains. When we remember this, our gifts to the wounded we encounter become much easier for us to practice. Jesus calls each of us to surrender ourselves to the discipline of seeing him in each one we encounter, not just even but most especially the weakest ones God puts in our path. This best serves us not as an allegory or an ideal but as a way of life that we enact from day to day. In two days, we enter Lent. In this season of baptismal renewal, people often give up little things as a form of repentance, but it would be better I think to make a discipline of service to those among us who have less than we do, to make for instance a practice of giving a dollar each day for 40 days to a homeless person on the street, than to mortify ourselves through eschewing, say, chocolate. Me, I say, if the choice is between not eating chocolate and not serving the poor, eat chocolate and serve the poor. Saint of the day: Born in about 1561 at Horsham St. Faith’s in Norfolk, England, Robert Southwell was an English Jesuit priest and poet. He was brought up in a Catholic family and educated at Douai. 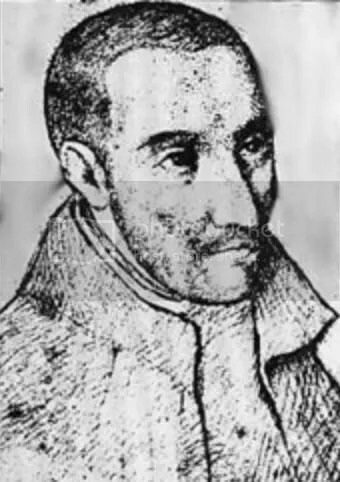 From Douai, he moved to Paris, where he was placed under a Jesuit father, Thomas Darbyshire. In 1580, he joined the Society of Jesus after a two-year novitiate passed mostly at Tournai. In spite of his youth, he was made prefect of studies in the English college of the Jesuits at Rome and was ordained priest in 1584. It was in that year that an act was passed forbidding any English-born subject of Queen Elizabeth, who had entered into priests’ orders in the Roman Catholic Church since her accession, to remain in England longer than forty days on pain of death. But Southwell, at his own request, was sent to England in 1586 as a Jesuit missionary with Henry Garnett. He went from one Catholic family to another, administering the rites of his Church, and in 1589 became domestic chaplain to Ann Howard, whose husband, the first earl of Arundel, was in prison convicted of treason. It was to him that Southwell addressed his Epistle of Comfort. This and other of his religious tracts, A Short Rule of Good Life, Triumphs over Death, Mary Magdalen’s Tears and a Humble Supplication to Queen Elizabeth, were widely circulated in manuscript. 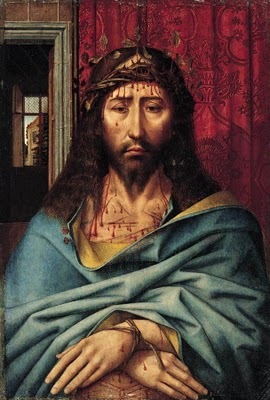 That they found favor outside Catholic circles is proved by Thomas Nash’s imitation of Mary Magdalen’s Tears in Christ’s Tears over Jerusalem. After six years of successful labor, Southwell was arrested. He was in the habit of visiting the house of Richard Bellamy, who lived near Harrow and was under suspicion on account of his connection with Jerome Bellamy, who had been executed for sharing in Anthony Babington’s plot. One of the daughters, Anne Bellamy, was arrested and imprisoned in the gatehouse of Holborn. She revealed Southwell’s movements to Richard Topcliffe, who immediately arrested him. He was imprisoned at first in Topcliffe’s house, where he was repeatedly put to the torture in the vain hope of extracting evidence about other priests. Transferred to the gatehouse at Westminster, he was so abominably treated that his father petitioned Elizabeth that he might either be brought to trial and put to death, if found guilty, or removed in any case from that filthy hole. Southwell was then lodged in the Tower of London, but he was not brought to trial until February 1595. There is little doubt that much of his poetry, none of which was published during his lifetime, was written in prison. On the 20th of February 1595, he was tried before the court of King’s Bench on the charge of treason and was hanged at Tyburn on the following day. On the gallows he denied any evil intentions towards the Queen or her government. He was hanged at Tyburn, and became a Catholic martyr on February 21, 1595. Reflection on the gospel reading: Both the New Testament writings and the life of the baptized over the last two thousand years make it unequivocal that prayer is central to Christian life. Prayer has many characteristics and serves many purposes in the lives of Christians. For example, prayer is where we adore God, seek God’s presence, and create community with other believers. The passage we read today tells us something more about prayer. A man presents to Jesus a son whom he believes is possessed by a demon but who, to our modern eyes, displays all the classic symptoms of epilepsy. The father in this gospel passage comes to Jesus in the hopelessness of his situation and asks him for help. In the passage, the man pours out his troubles to Jesus. Prayer then, reading into this passage, is also a place where the soul struggles and expresses its anguish. The man petitions Jesus to help his son. There are two characteristics of his request which are noteworthy in a discussion of prayer. One is that Christian prayer asks God for help: it is petitionary. 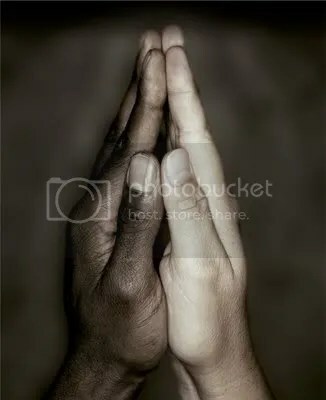 The other attribute of the man’s dialogue with Jesus is that Christian prayer affords us an opportunity to put ourselves in the place of others: it is intercessory. 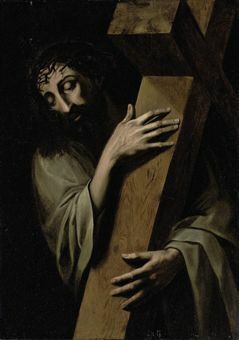 After the man in the passage teaches us what he knows about prayer, Jesus has a thing or two that he would like to add. Prayer is about faith: Everything is possible to one who has faith. But it isn’t about perfect faith; when the man tells him, I do believe, help my unbelief, that is all that Jesus needs. When we pray, God wants us to be authentic. God does not require us to be more faith-filled than we are; God asks us just to be willing to ask that we be more faith-filled. When the disciples ask Jesus why they were unable to drive out the demon, Jesus essentially tells them that they failed because they didn’t pray. It is not we who do the work. Our Christian life does not make us sorcerers drawing on some inner resource; it accesses a power which remains God’s and God’s alone.